Have so much basil and have don’t know what to do with them? How about making your own homemade pesto sauce? 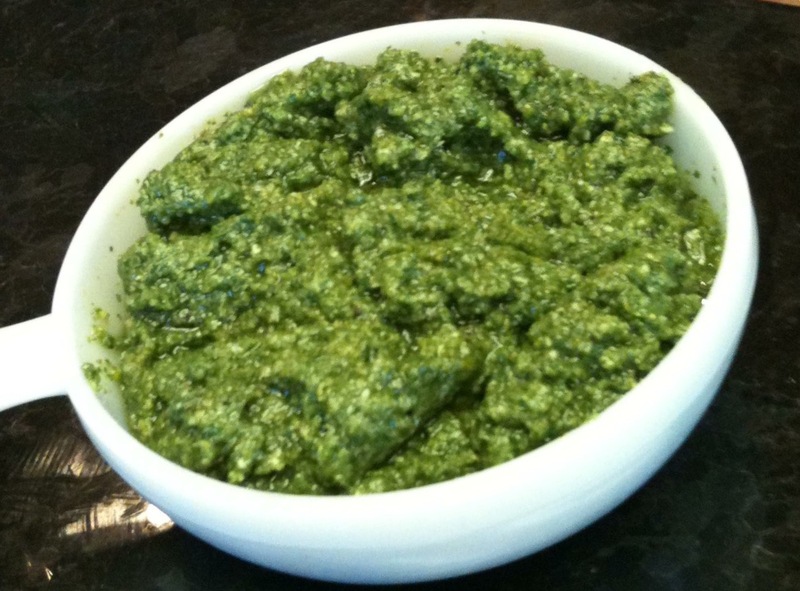 Here’s a delicious and easy to make basic pesto sauce. 1. Combine basil leaves, pine nuts and garlic in a food processor and process until very finely minced. 2. With the food processor running slowly dribble in the extra virgin olive oil and process until the mixture is smooth. 3. Add the cheese and process briefly, just long enough to combine all ingredients. Season with salt and pepper (or lemon pepper seasoning). 4. Store in the refrigerator or freezer. Seize the opportunity to make up a few batches so you’ll have enough homemade pesto for fall and winter. Here’s a tip for easy storage for freezing: On a sheet of clear, plastic wrapper, create a log form. Seal both sides and store in a square or rectangular plastic tupperware. Ice cube tray is also a great option for freezing.